British Soprano Sarah Brightman will sing aboard the International Space Station, she is expected to blast off on October for a 10-day stay, NASA has confirmed. Since January, Brightman arrived to Russia for a nine-month training program, to learn how to put on and take off a space suit and work under zero gravity conditions. The beautiful soprano, best remembered by her performances on Andrew Lloyd Webber’s Phantom of the Opera and Cats, will pay about £34 million, for a round-trip ride aboard a Russian Soyuz capsule, infromed Space Adventures, the privately owned firm arranging the trip. 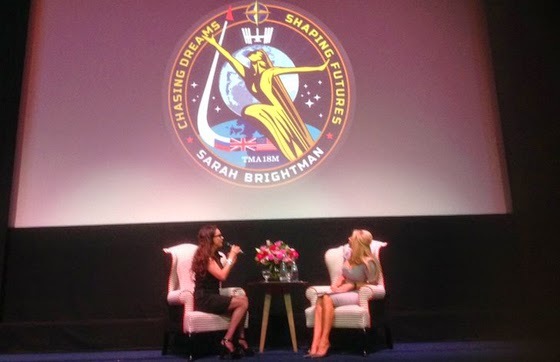 Sarah Brightman, will become the eighth tourist to visit the ISS, and the first real Starship Trooper ever!